Biking is a popular outdoor activity in and around Las Vegas. Given Nevada’s warm climate, people often bike to work or for recreation. Unfortunately, because bicyclists lack the same protections as a motor vehicle, traffic collisions involving bicyclists can result in serious injuries and even death. According to the NHTSA, in 2011 alone, 677 bicyclists were killed, and an additional 48,000 were injured, in motor vehicle traffic crashes. Las Vegas bicycle accident attorney Robert M. Apple is a skilled and experienced Nevada injury lawyer, who is committed to helping the victims of bicycle accidents obtain full and fair financial compensation. Contact our office at (702) 646-0085 to schedule a free consultation with our Las Vegas bike accident lawyer. Not intentionally interfere with the movement of a bicyclist. Not pass a bicyclist without exercising due care and allowing for at least 3 feet between the vehicle and the bicycle. Not enter, stop, stand, park, or drive within a bike lane except in certain limited circumstances. Yield the right-of-way to bicyclists. Exercise due care to avoid a collision with a bicyclist. Give an audible warning with the horn when appropriate and necessary. If a motorist disregards any of the provisions set forth in Nevada Revised Statutes §484B.270, and a traffic collision occurs as a result, the driver is subject to additional penalties. Moreover, negligent motorists who disregard Nevada laws with respect to bicyclists can also be held liable for money damages in a personal injury lawsuit. Traffic collisions, including those involving bicyclists and motorists, often involve insurance companies. As an experienced accident and injury lawyer, Robert M. Apple communicates and negotiates with insurance companies to get his clients’ a full and fair financial recovery. If the negligent motorist’s liability coverage is inadequate, he will pursue all other legal avenues, including uninsured/underinsured motorist provisions and personal injury lawsuits, to obtain full and fair compensation. 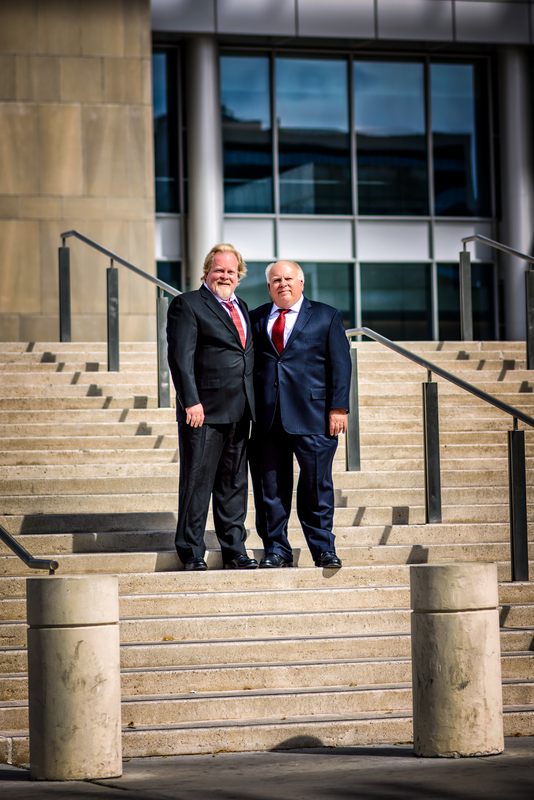 Not only is Robert M. Apple a skilled Las Vegas accident lawyer, but he is a dedicated legal advisor who prides himself on his commitment to client service and satisfaction. He meets with each client personally at the client consultation, and clients instantly feel at ease with his friendly, approachable personality. As a committed legal advocate, he promptly returns client phone calls and emails, takes the time to ensure that clients understand the legal issues involved, and keeps clients abreast of any case developments. As with any personal injury accident, you must act quickly to protect your legal rights following a car accident. Do not hesitate to contact Robert M. Apple & Associates at (702) 646-0085 to schedule a free, no-obligation consultation to learn more about a possible auto accident lawsuit.